11. Stack pasta or spaghetti boxes inside a magazine holder. 12. Include your wrapping plastic and aluminum foil. 13. Secure your Keurig cup drawer collaborate with your egg cartons. 15. Build a floating giant jar shelf to house and accessorize your beans, snacks, kitchen spices, and candies. 16. 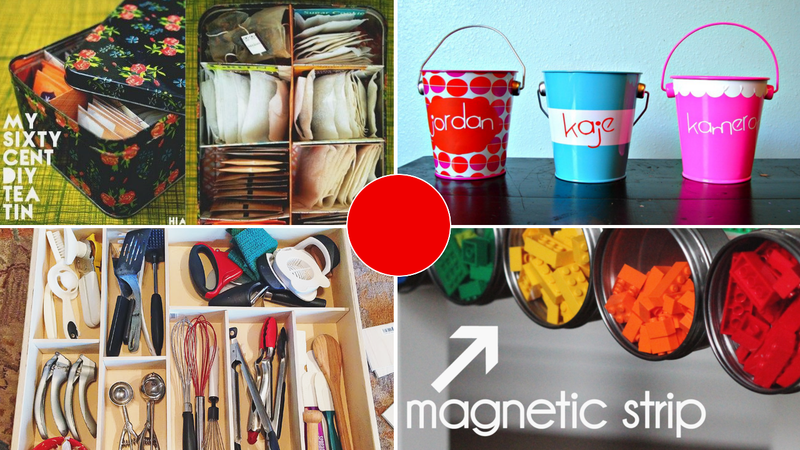 Customize and decorate your drawer organizers and make your kitchen utensils look happier. 17. Categorizes your plastic lids by dimensions in a dish drying organizer or rack. 18. Get scrapbook paper to create a vintage tea organizer or box. 20. Get a bean bag, and use it to organize and comfort your kids stuffed animals. Keep only dried toys all the time. BTW, One more round and you’ll win this list.